Nations Press health THE AMAZING HEALTH BENEFITS OF LEAD TREE POPULARLY KNOWN AS “IPIL-IPIL” IN THE PHILIPPINES-REVEALED!! THE AMAZING HEALTH BENEFITS OF LEAD TREE POPULARLY KNOWN AS “IPIL-IPIL” IN THE PHILIPPINES-REVEALED!! Lead tree can give you a lot of the much needed nutrition for the growth and development of the body. 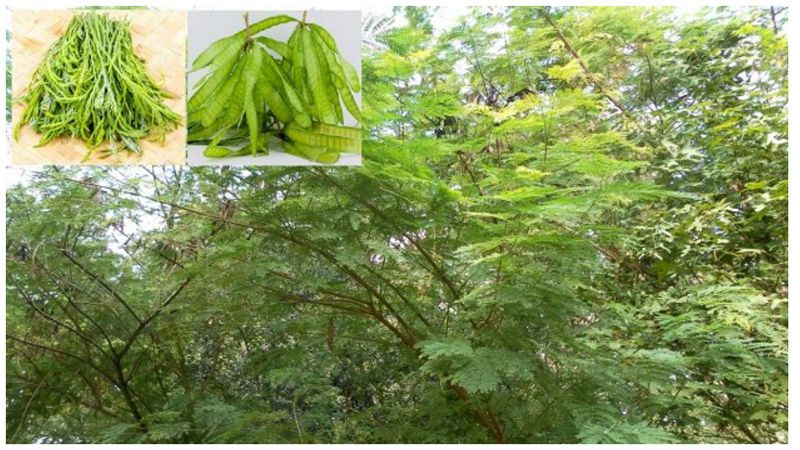 The special enzymes and nutrition contained in the extracts of this tree has amazing anti-aging properties that makes it a great demand ingredient in cosmetic industry. This amazing tree isn’t just beneficial on your inner health but it improves your external beauty as well. The leaves of lead tree has natural enzymes that are really good for the skin. These enzymes can spark collagen formation in the skin cells Collagen is the natural skin building block which if decreased, may lead to dry, dull, wrinkled and patchy dark skin. Lead tree seeds are known to decrease skin inflammation and pain, which is a great help for those people who are suffering from Psoriasis. Psoriasis is a serious skin condition that is known to dry out the skin which is beyond repair. It develops painful, red patches on the skin, which is a rare condition that can only be controlled. It cannot be cured completely. The skin inflammation caused due to psoriasis can be evened out by the seeds of lead tree. The seeds of this tree are known to reduce skin inflammation and pain. Oil from lead tree that has been extracted from its seeds are known for having anti-fungal and anti-bacterial benefits. It can also be added as a base oil and applied on the scalp to treat hair problems like dandruff. However, it is recommended to consult a specialist before using it. People use the bark of the lead tree as an analgesic to alleviate muscle pain. It is believed that the bark of the lead tree can naturally inhibit the pain in humans. It is also known to ease various common problems related to menstruation. Being an analgesic, it also reduces menstrual pain.